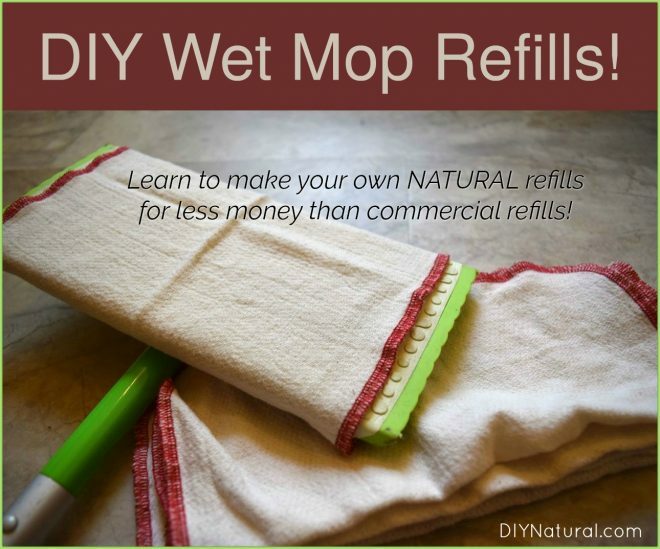 DIY Wet Mop Refill Recipe: Learn to Make Your Own Wet Mop Refills! It seems like I am always mopping my floors. Between kitchen messes, muddy shoes, dust, and baby drool our floors have never been dirtier. Due to a very active crawler, they have also never needed to be cleaned as much. Our wet mop is the easiest and quickest way to clean our floors. I just sweep, mop, and let it dry. Nothing is more simple. However, if you are using commercial refills, an everyday mopping routine can get quite expensive. Where I live, it is around $8 for 24 wet mop refills. That’s about $0.33 for every mop job. While it does not seem like much, if I mop my floors daily that means I spend about $2.33 each week on mopping supplies for just one floor! 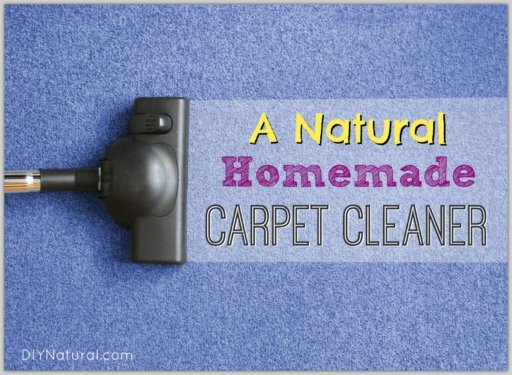 Natural Wet Mop Refill Cloths – Cheap & Simple! What if I told you that you could spend a fraction of that cost for a healthier homemade solution? You can absolutely do that! Plus, I notice that I actually want to clean more because I enjoy the lovely fresh smell this refill leaves behind. You can really tailor the aroma to whatever is most pleasing to you. I happen to love the smell of citrus so that is how I came up with this blend. Whenever I clean, I always choose essential oils that are safe for kids. I don’t want to use anything that could potentially harm them, even at small doses. Some essential oils have cautions, even when inhaling. Learn more about essential oil safety for children in this post. I also choose to use vinegar for many cleaning recipes. Most times my floors need a good shine and not a deep, disinfecting clean. That’s what this recipe is intended for: an everyday cleaner with a refreshing aroma. Vinegar is also very affordable and gives floors a great shine. I always suggest diluting the vinegar with some distilled water. You will want to choose distilled water over tap water because it has less bacteria. You can use more or less water as needed and that will depend heavily on what type of wash cloth you use. I generally choose a thinner cloth so I can fit more in my jar (which also stretches the budget on this DIY). In your mason jar, combine water, vinegar, and essential oils. Stir (or shake) well to combine. Add in cloths (I was able to add about 12 of my unbleached paperless towels). Allow cloths to absorb liquid fully (add more cloths if needed or turn the jar upside down). Use as you would for any mopping needs on tile, laminate, and even hardwood! I love that these wet mop refills cost me just 11¢ each! That’s less than half of the cost of commercial wet mop refills. 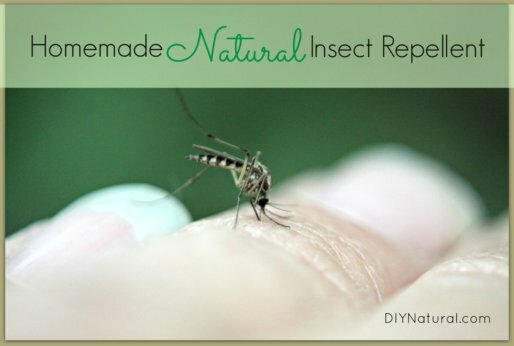 A cheaper, natural alternative make this DIY a win-win. If you find it is too difficult to store this DIY in a wide mouth mason jar, you can also reuse an old wet mop container. Simply fold your wash cloths length-wise and pour the solution over a stack of them. Store in a cool, dry place as you normally would. Since this recipe has water in it, you’ll want to store these wipes no longer than three weeks in a sealed, air tight container. How do you keep the rags on the mop? Keep them from falling off? Instead if tossing the wash cloths. Wash them with some bleach and detergent? I made these this weekend and I love them! Washed every floor in the house! Smells awesome, works great. Super easy to make and directions are spot on! Thank you!! Should I be concerned with the daily use of vinegar on my porcelain and wood floors, as I was informed that any acidic product, which is not rinsed off has a great potential do a damage over time? I guess I am out of the loop on the paperless towels. What exactly are you calling a paperless towel? Is the vinegar bad for hardwood floors that have a urethane finish? Anita, I’m not sure. I have always used vinegar on my hardwood furniture, but I don’t believe they have a urethane finish. How do you attach the rags to the wet mop? Is it difficult to get them to stay on? I think you would push the cloths into the same holes on the mop that you would use to push the costly store bought disposable cloths into. They are located on the top of the mop. Hi Carla! The rags actually fit nicely in the same holes as the commercial refills would. They stay put very well. Thanks. Hope to try this soon. Would adding a bit if alcohol, help to keep it longer, if i want to make a larger amount? Alcohol would likely help it keep longer, however I’m not sure if alcohol would effect floors differently. I’d definitely try a test patch on an inconspicuous area first.